After taking a slight break from movies and the blog for a couple days, I decided that it was time to fins something mindless to watch. 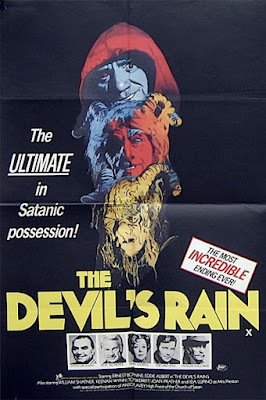 After searching Shudder, I settled on the 1975 cult flick The Devil’s Rain. Plot/ A bunch of Satanists in the American rural landscape have terrible powers which enable them to melt their victims. However one of the children of an earlier victim vows to destroy them. With this holiday weekend coming to a close, I decided to kick back and watch some different movies I found on Shudder over the past few days. 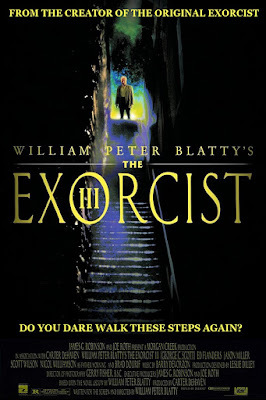 One of the more interesting ones comes from writer William Peter Blatty, of Exorcist fame. While this one did not deal with demonic possession, it did deal with a disturbing subject matter. 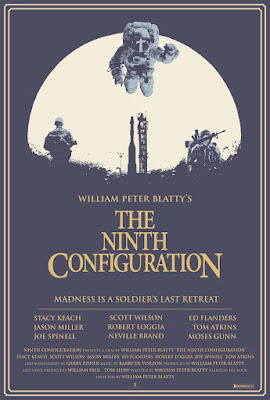 That movie is the 1980 cult classic The Ninth Configuration. Plot/ A new commanding officer arrives at a remote castle serving as an insane asylum for crazy and AWOL U.S. Army soldiers where he attempts to rehabilitate them by allowing them to live out their crazy fantasies while combating his own long-suppressed insanity. There are some movies that we take for granted and ignore. This is done for many reasons, but often, it happens because they hold up as solid entries into the cinematic world no matter how long it is since its release. 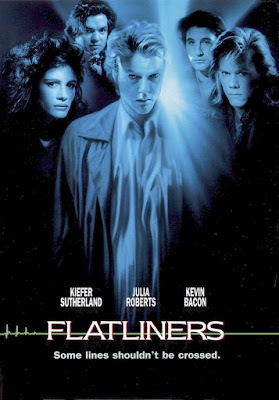 One movie that falls into this category is the 1990 horror/thriller Flatliners. Plot/ Four Medical students experiment on near death experiences that involve past tragedies until the dark consequences begin to jeopardize their lives. With it being Thanksgiving, it was nice to be able to relax, and look forward to the future. Yes, there will be some rough times ahead; there is hope that change for the better could possibly happen. After taking a couple days away from the blog to work on a couple smaller projects, I decided to look into something relaxing yesterday to help pass the afternoon. The movie I decided on was something I had not seen in some time, the 1990 sequel, The Exorcist III. Plot/ A police lieutenant uncovers more than he bargained for as his investigation of a series of murders, which have all the hallmarks of the deceased 'Gemini' serial killer, lead him to question the patients of a psychiatric ward. After watching the cheesefest that was Contamination, I decided to venture into something different. 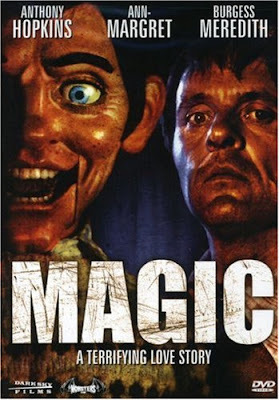 Subsequently, I searched through Shudder until I found something down a stranger path, finally settling on the underrated 1978 flick Magic. Plot/ A ventriloquist is at the mercy of his vicious dummy while he tries to renew a romance with his high school sweetheart. Sometimes, I need to take a trip down memory lane to my youth and the big box VHS flicks that made the 1980s one of the best decades for no-budget horror cinema. 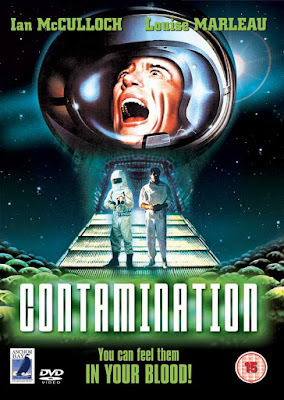 One such movie is my next review; the 1980 horror/sci-fi entry Contamination (AKA Alien Contamination). Plot/ A former astronaut helps a government agent and a police detective track the source of mysterious alien pod spores, filled with lethal flesh-dissolving acid, to a South American coffee plantation controlled by alien pod clones. Supernatural movies are always fun, especially when the subject matter is something that is tangible (at least from a certain perspective). One such topic is the OUIJA Board, and whether it is a tool for darkness or a simple game. Personally, I have no real opinion on the legitimacy of the talking board, and where it should be placed, but it is an interesting topic for movies to explore. For my next review, I will be diving into the 2016 entry Ouija: Origin of Evil. Plot/ In 1965 Los Angeles, a widowed mother, and her 2 daughters add a new stunt to bolster their séance business and unwittingly invite authentic evil into their home. When a supernatural spirit overtakes the youngest daughter, the family confronts unthinkable fears to save her and send her possessor back to the other side. There are times where messages in movies are important. However, nothing can replace true stories that tackle some of the most important events in history without steering it to match a narrative or agenda. Unfortunately, that is an art form that seems to have been bypassed in recent years, replaced by storylines that seem to mirror the agendas of the ruling classes of the establishment. This plague has not only overtaken Hollywood, but it has overwhelmed the main stream media and majority of newsprint outlets, which act more like propaganda arms than actual news outlets. 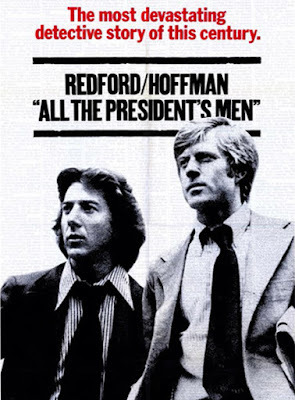 One movie that shows the importance of clear journalism is the 1976 classic All the President’s Men. Plot/ Washington Post reporters Bob Woodward and Carl Bernstein uncover the details of the Watergate scandal that leads to President Richard Nixon's resignation. I know that I have taken some time off away from the blog, but lately I have been getting back into the writing mood as I work on a new project. While I am not going to go into detail on that as of yet, it will be happening soon, and it will hopefully become something that becomes a large part of my blogging/writing footprint. 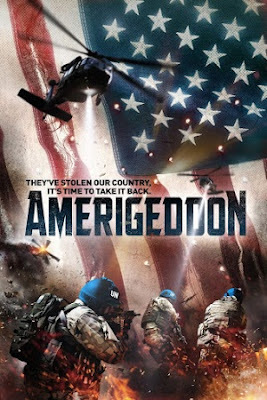 The next review for The Ringmaster’s Realm is something that carries an important message, the 2016 independent flick AmeriGeddon. Plot/ A fictional depiction of a future wherein a globalist terrorist organization aligned with the United Nations to disable the United States' power grid and institutes Martial Law. It will take a dedicated family of patriots armed with strong survival skills and the remains of the Second Amendment to save America and reclaim its freedom.